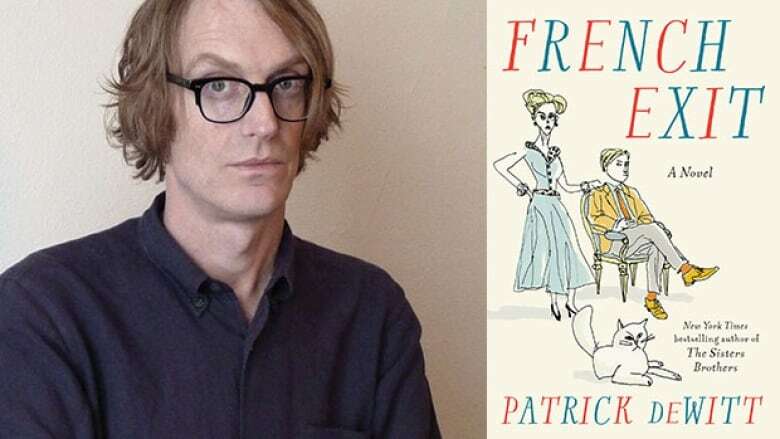 Novelsit Patrick deWitt's latest book, French Exit, is a tragedy of manners with an absurdist twist. It was shortlisted for the 2018 Giller Prize. Canadian novelist Patrick deWitt's latest book French Exit is a tragedy of manners with an absurdist twist. The eccentric cast of characters features Frances Price, a beautiful, once-rich-now-broke widow, her layabout son Malcolm, and Small Frank, a cat who carries the spirit of her dead husband Frank. The novel was shortlisted for the 2018 Giller Prize. Patrick deWitt spoke to The Sunday Edition's host Michael Enright about mixing tragedy and comedy, the upside of clichés, and why we need humour today more than ever. Michael Enright: What is a French exit? Patrick deWitt: A French exit is the practice of leaving a social gathering without saying goodbye to the hosts or to anyone. I came to the title for the book because this is a practice that I'm a big fan of ... I go [to parties] because I think it's probably healthy to socialize, even though I don't enjoy it as much as I should. I find saying hello is so fatiguing that it just seems cruel that you have to do the entire thing again on your departure. It just seems more civilized. Goodbyes can be so laborious, and it's just easier for everyone involved if you just go. You really do a number on the super rich in the United States ... but it's a tragedy of manners, not a comedy of manners. At the start, I was looking to write straight comedy, in the British style of humour — somebody like P.G. Wodehouse or Evelyn Waugh was on my mind. But then the story takes a darker turn. So comedy of manners, as a designation, didn't quite fit. I started calling it a tragedy of manners, and I was quite proud of myself thinking that I'd invented the phrase. Then I made the mistake of Googling it, and it's something that exists already. But I still think it's an accurate description. It is a comedy, but there is a bit more darkness or ugliness than you'd expect in a traditional comedy. Let's talk about Frances Price. She's kind of a cross between Jackie Onassis and Auntie Mame. She's vivid and electrifying, but she's mired in scandal and debt. As she says in the early part of the book, 'All good things must end.' How did she make such a mess of everything? I think that's the sort of the primary mystery in her life to herself. She doesn't really understand it, because she is such a capable person and she has such a strong will and she's very brilliant and witty and seemingly has everything going for her. So how did her life take this turn? It's related to just bad decisions. In the case of her husband, she married the wrong person. She had faith in somebody that she shouldn't have had faith in. She says her life is riddled with clichés, and she says that the cliché is a story so fine and thrilling it's grown old in its hopeful retelling. What's hopeful about clichés — that maybe something in there will come true at some point? When I find my life [devolving] into cliché, as everyone does at some point, I'm comforted by the familiarity of it. No matter what the problem is, it's the sense of, well, I'm actually living a life. There are stories occurring around my person. You don't necessarily want a daily cliché, but when they occur in my life I'm comforted by the idea that my life isn't dull. Are you comforted by the idea that you're probably not the only one going through the particular cliché? Yeah. I did a reading in Paris at Shakespeare and Company, and there was a grouchy man sitting in the front of the room. His first comment was, 'I haven't read the book, but' — which is always a sign that things are gonna go badly — 'I haven't read the book, but it sounds very clichéd, and this is the most cliched bookstore in Paris.' I should have congratulated him for being the first man in the history of the world not to live within a cliché himself, but instead I just read him that line. So I let Frances do my talking for me, and it shut him up. The idea of death hovers over the edges of the story. There's Madeleine, who is the medium, and she sees that certain people are going to die. Are you interested in the occult? I really am. And it doesn't seem to be going away. It's rooted in fear, I believe. I'm afraid of all these forces and powers, and I just see them everywhere. There's a line in the book where Frances says that she's come to think of gift-giving as a polite form of witchcraft. I do see witchcraft in so many of our social behaviours. When I say witchcraft, I don't necessarily mean a cauldron and a pointy hat. I just mean the things that we say, especially if it's declaration or you're addressing a wish. It sounds to me, increasingly, as though we're trying to bend our fates in some way. Is it fear of death, or concern about after death, or what lies ahead? I think the most fearful thing for me is a substandard life. I'm not afraid of death, particularly. But of course it's the primary thrust of all of our own personal stories — the knowledge that our time is finite. Oftentimes, death is used in my work just as a literary device. It's a cheap trick, but it's there for the taking, so I do take it. It's tricky, though, to be writing humour, but at the same time, alerting the reader that [it's] about the big questions, and the biggest being death. I love humour. Making people laugh is something that's so important to me. I appreciate it so much when an author can make me laugh or a filmmaker can make me laugh. But I don't want to just laugh. Empty laughter ultimately doesn't really nourish you. There has to be some added heft to it. I also find the best way to approach weightier topics is with a degree of levity. I myself am much more open to serious considerations when it's dressed up as something else. Is there a greater need for humour today? I need it more now. I get the newspaper Friday, Saturday, Sunday, and by Monday, I just don't ever want to see another newspaper for the rest of my life. But then I start all over again come Friday. What a bleak, bleak time it is, man, especially in the U.S. It does feel like we're approaching a void that we won't be able to back away from. I think of my function — what's my strength? How can I help? I think that making people laugh is valid. So I'm doing what I can. The hope is that it's useful. This Q&A has been edited for length and clarity. Click 'listen' above to hear the full interview.